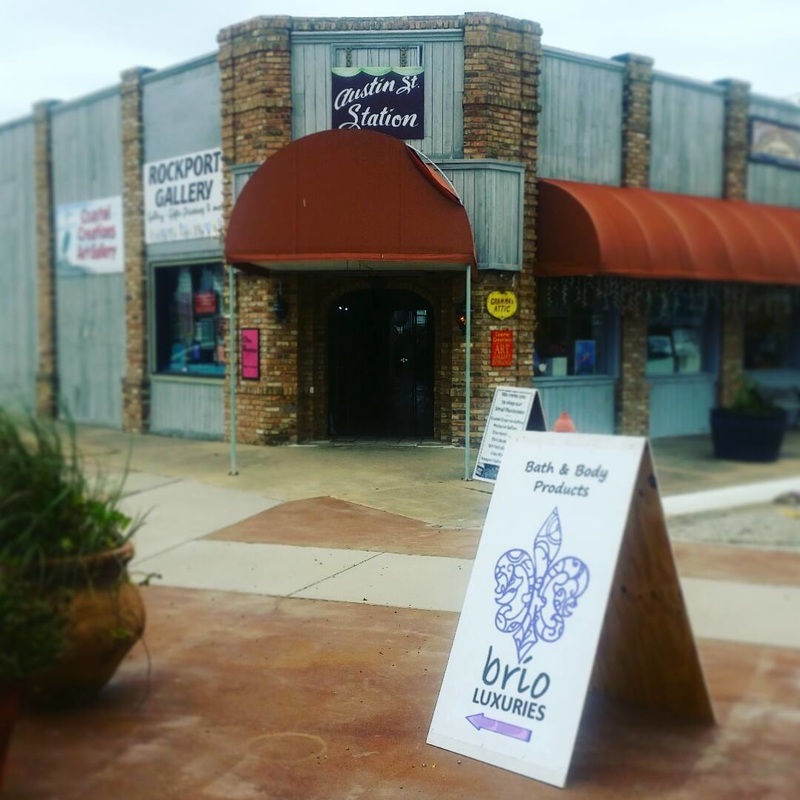 Each Brio Luxuries product is made at our shop in Rockport, Texas. Our goal is to to bring our customers the best quality of products that will allow them to feel as if they just walked out of the spa when they never left their house. 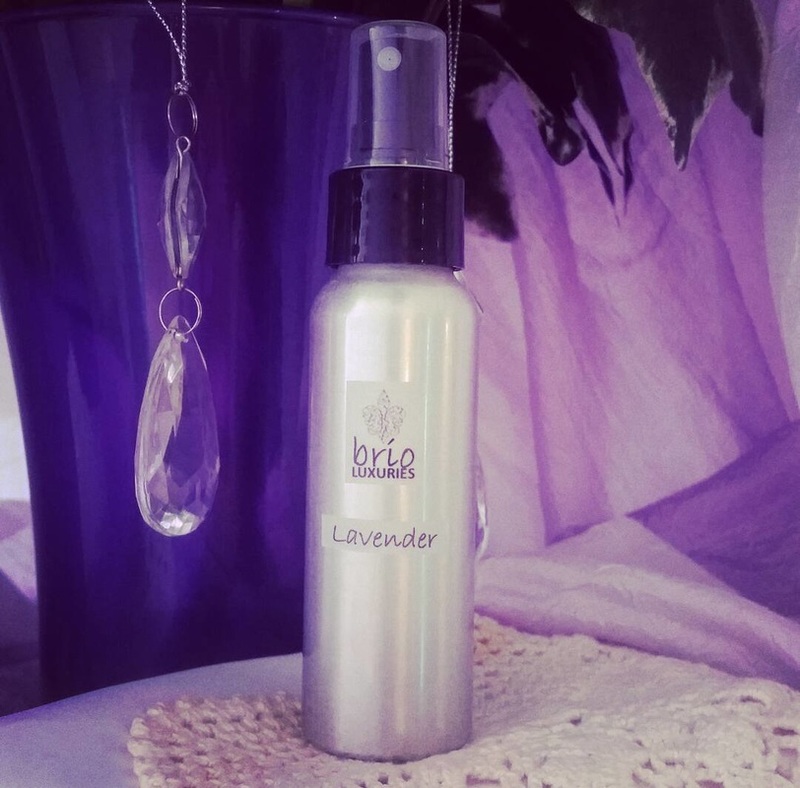 We use essential oils - no fragrance oils - and natural ingredients that can assist you with dry skin, allergies and so much more. 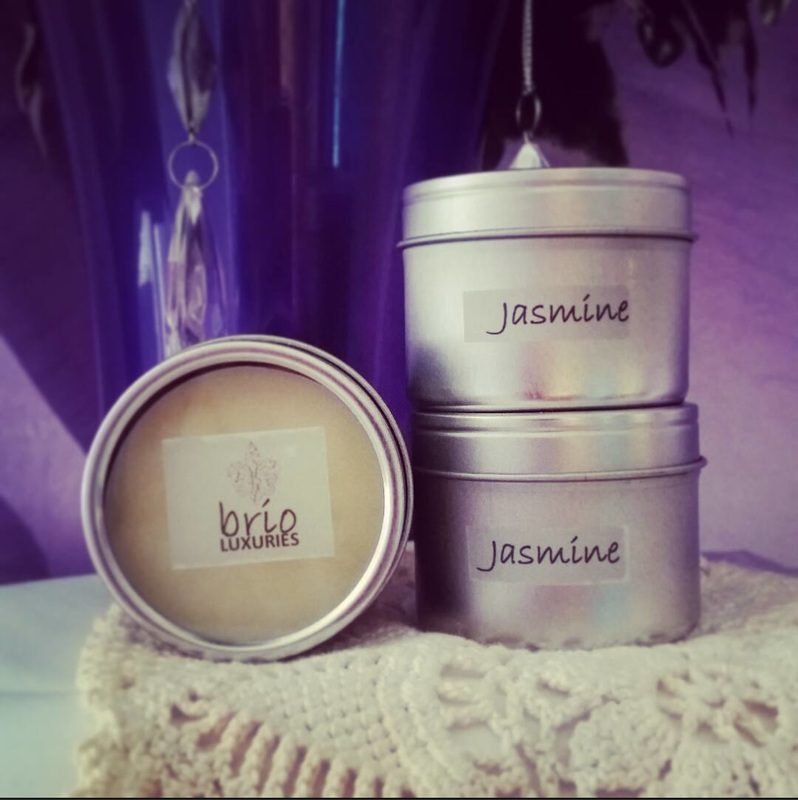 We have many scents available - Eucalyptus/Spearmint, Peppermint Patty, Citrus Love (Grapefruit), Sunshine! (Tangerine Lemon), Lime Coconut, Rockport Dreamin' (will remind you of the beach! 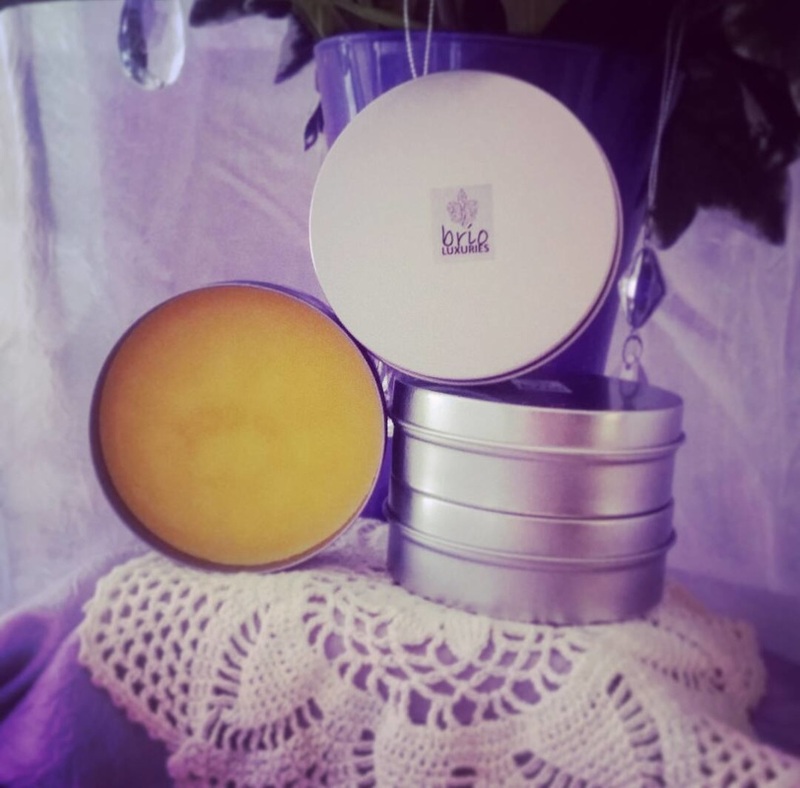 ), Happy (Lemon, Lavender, Eucalyptus), Lavender, Lemon Rosemary, Cookie Dough, Cinnamon Twist, Baby It's Cold Outside, and for our Gents - Patchouli Orange and A Pirate's Life. If you do not see a scent you like or would like to do a combination of scents please let us know. We can also ship your order at cost and within two business days. If you have any questions or would like to place an order please send us an email at brioluxu@gmail.com or call us at 361- 205-5541 or 713-826-5165 and we will be glad to assist you. 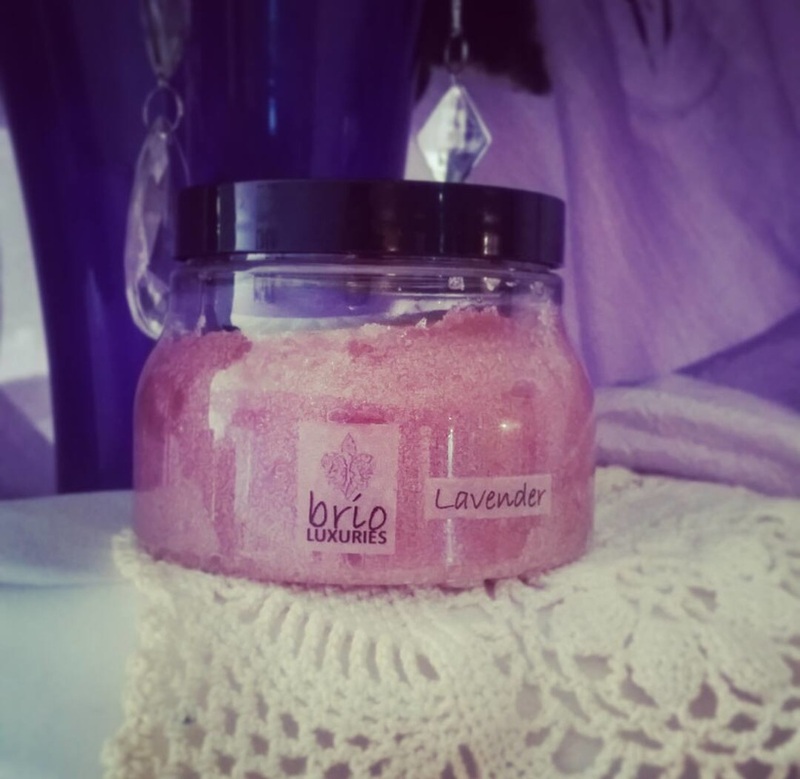 Our sugar scrubs are guaranteed to make the roughest, dirtiest hands or feet feeling soft and smooth. 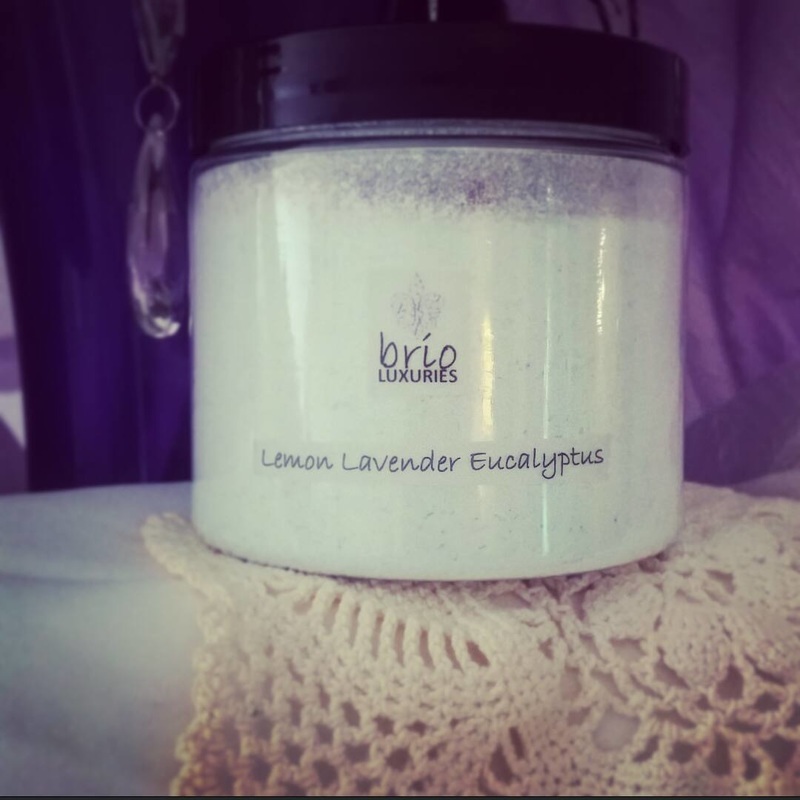 Our sugar does not only exfoliate, it also cleanses. It is It is available in all 9 scents. This is your "go-to" salve for all those little things that happen in life. Muscle cramps, achy joints, bumps and bruises, helps scars to heal, makeup remover, moisturizer, cuticle and nail conditioner, mosquito bites and fever blisters. Everyone has a day when they need a little boost to get them through the day or a stressful day and need some calm in their life. 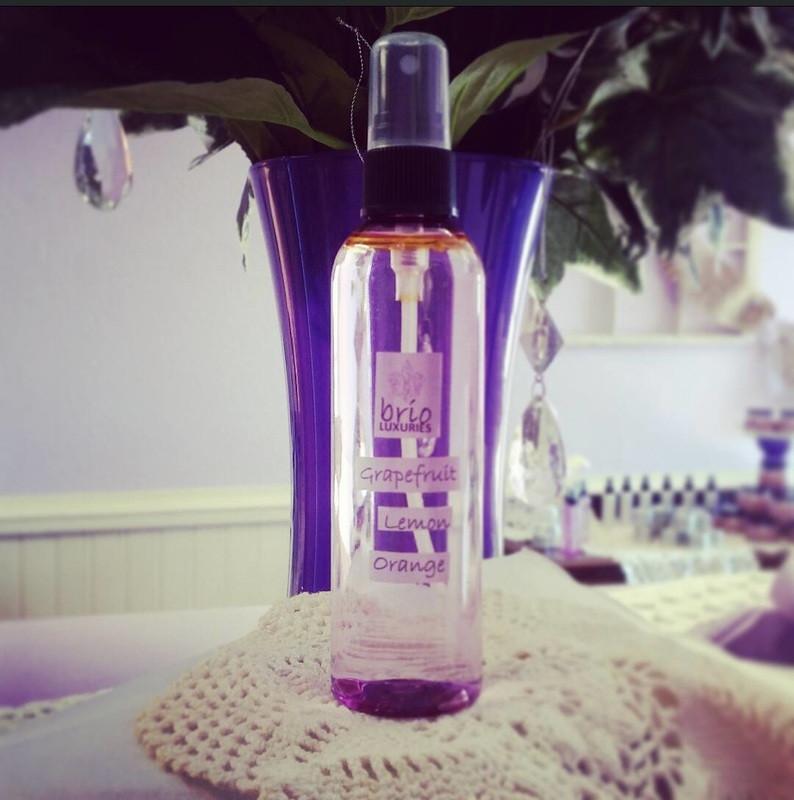 With our Body Spritz you can have the long lasting aroma with you all day. Our bath salts will turn your bath or shower into your own personal aroma therapy paradise.